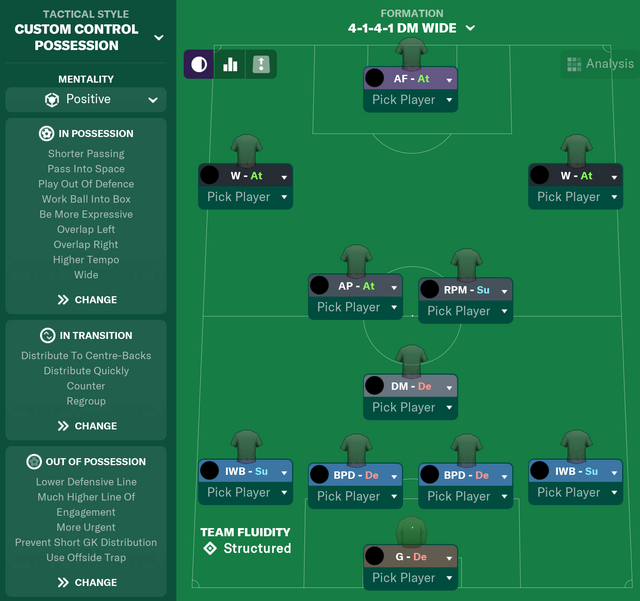 Two core areas of the game, training and tactics, has received significant attention this season with the training module completely overhauled and the tactics creator upgraded to reflect innovations in the modern game. I'm playing as Stoke. They have a good foundation of players. I had rocky start but now I'm ok. I have won the Championship with 100 points and moved to Napoli after the promotion. How is the game? I became frustrated with the last ones because it seems that I dominated most of the games with 20 shots on target but the opposition ended up scoring with their only chance. plus every year it became too repetitive. Lads looking to get this game but also need to buy a laptop. Would a cheapish laptop with 4GB RAM run the game smoothly? Yeah this is definitely (and finally!) a step in the right direction. Got a save with us using that and absolutely twatting everyone. 65%+ possession and 25+ shots. Clean sheets galore. Another save with FC Nordsjaellend (spelling?!) in Norway and probably gonna finish fourth after a season with a tweaked variation of that system. I heard there were problems again with strikers who have 20 finishing and probably 15 or 16 composure missing one on ones all the time. strikers with no finishing against you scoring haha. Yeah, strikers aren’t as easy to work with like previous versions where you could get someone scoring 40+ consistently. Also set pieces are overpowered. Send your tallest guys up for any set piece and you’ll score lots. But tactics and training have been developed and it’s a good game again. Enjoying it. Reverted to that system with my FC Nords...djeiwosksb save and beat the top two teams and another win before the end of the season to finish third and get a EL qualification spot. £5m to spend and going on a worldwide hunt for young stars. EXCITED. EDIT: Playing a vertical tiki-take on positive mentality. I didn't bite the bullet and get this one as I was enjoying a Wrexham save on 2018. Has it been easy to adapt to all the new stuff? I haven’t actually gotten an FM game since 15, well technically I got 16 but thought it was sh*te so have stuck with 15 all this time. Is this one worth getting? How do our boys rate on it? Used to find that the game would massively under rate some players. Decided to buy the mobile version this year, don’t have the time to invest at my PC and I’ve actually enjoyed it, just finished my first season with Liverpool, eased the league, did okay in CL. Our squad is insanely good. The first XI is pretty much as good as you can get at the start of the game. This is def worth getting. Should be cheap now, too. When you are picking tactics, do you change the role of the position for the most natural role of the player you are picking? Or do you just keep the same role and the players have to play that role even if isn't their most natural? I tend to look through the squad and get an idea for how I want the team to play. 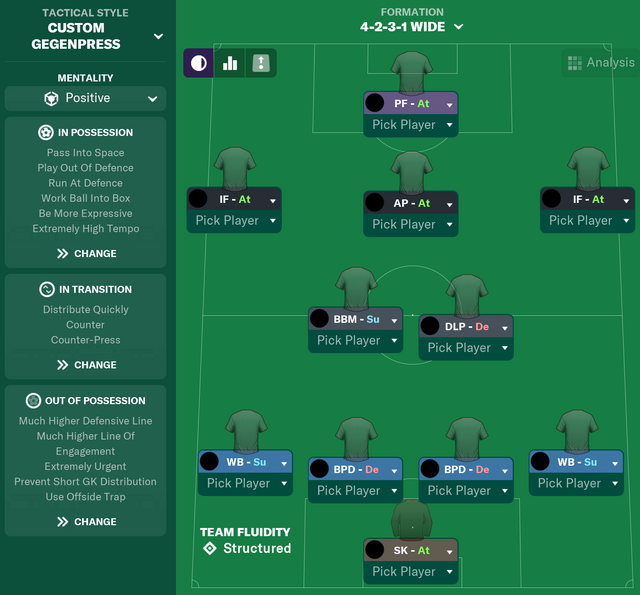 Then I play around with the set formation and roles the game suggests and change according to the players I've got and what I think will be affective. But in terms of players and their roles, as long as they have good attributes for the role you have them playing you'll get solid performances out of them. Training them for that role helps too, of course. Pretty much everyone from my midfield to the attackers are not playing in their preferred role but have good stats for each.